When cold and flu season come around, nothing beats a big pot of homemade chicken soup to soothe those sore throats. After spending the morning outside in the damp weather, I decided to take some things I already had cooked and throw them all together to make this delicious soup. To make the cooking time shorter, I pre-cooked the potatoes and carrots in the microwave. 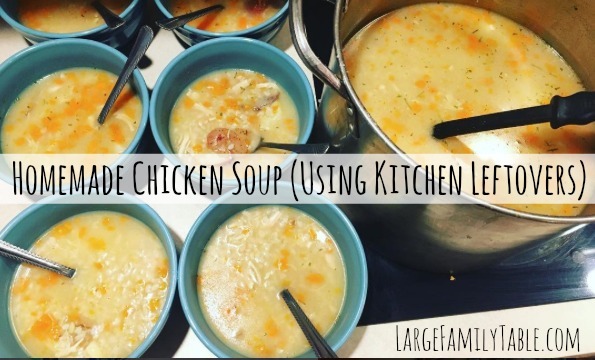 I didn’t want this to be an all day slow cooker soup; I wanted us to be able to enjoy several cups or bowls of it throughout the day to ease the sore throats we have going on. Add chicken broth to large stock pot. Place chopped carrots and garlic in a bowl of up to 4-cups of water and microwave until partially soft, then add to stock pot (water and all). Cube cooked potatoes and add to pot. Add spices, shredded chicken, and precooked rice. Simmer for at least 30 minutes, or until you’re ready to eat. We served this soup up with some peanut butter and jelly sandwiches on the side for a delicious lunch. There is just nothing as soothing as hot chicken soup when your nose is stuffy and your throat is scratchy and sore. But don’t wait until you’re sick to try this soup! 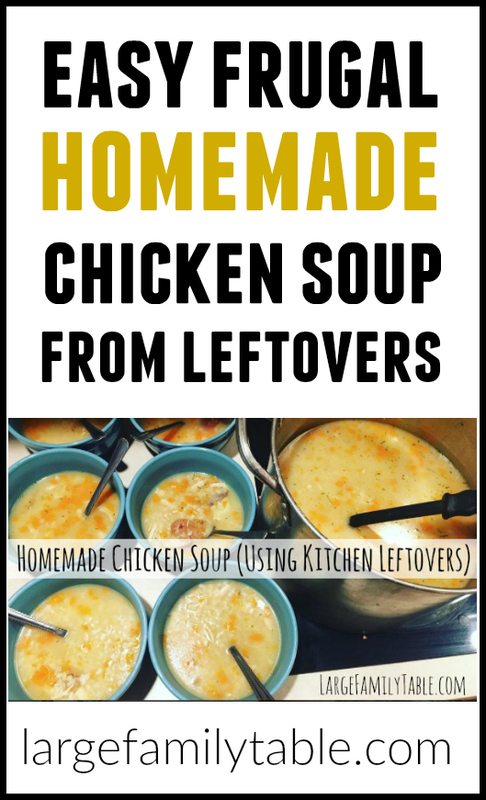 Use whatever leftover chicken and veggies you have and throw together your own pot of yummy soup. And be sure to let me know when you do! Thank you! I was just looking for a good recipe for chicken soup ?